These terms and conditions apply to general competitions ran by British Triathlon either at events or online where specified T&C's are not outlined. Competitions will be open to all unless stated otherwise. Exceptions include employees of British Triathlon, their immediate families, agents or anyone else associated with the administration of the sport. Winners will be notified shortly after the event via email or direct message on social media (dependant on prize entry method) and must accept their prize within 10 working days. Prizes are non-transferable and there is no cash alternative. British Triathlon also reserve the right to amend the prize stated where necessary. All Prize-winners (with a Parent or Carer's consent if required) unconditionally agree (as a condition of accepting any prize) to: (a) the use of their name and one or more photographs); and (b) co-operate with or participate in any other reasonable post-competition publicity. Where consent is given British Triathlon reserve the right to communicate with competition entrants post event. British Triathlon’s decision is final and no correspondence will be entered into. 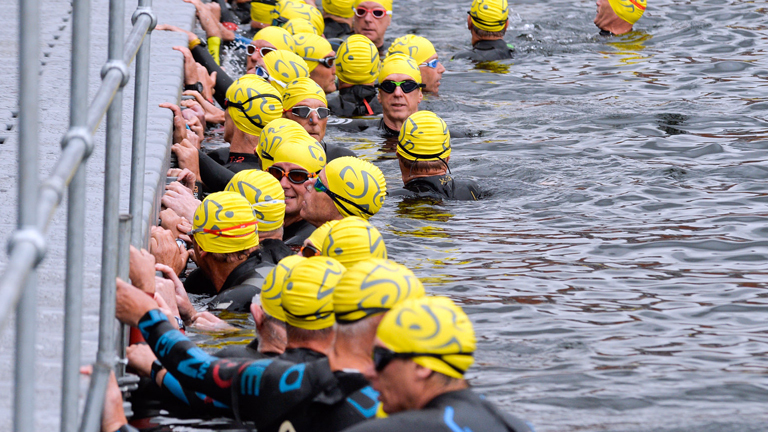 These terms and conditions apply to general discount codes applied by British Triathlon at events, online, printed adverts or via any other means where specified Ts&Cs are not outlined. Discount/Promo codes will be available to all unless stated otherwise. Exceptions include employees of British Triathlon, their immediate families, agents or anyone else associated with the administration of the sport. Discount/Promo codes can only be used on British Triathlon Home Nation membership packages, unless stated otherwise. Discount/Promo codes apply to individual member registration across all Home Nations, unless stated otherwise. Family memberships are NOT included in Discount/Promo code offers unless stated otherwise. Discount/Promo codes apply to the date stated within the publication unless otherwise stated. British Triathlon reserve the right to finish a Discount/Promo code offer at any time. Only one Discount/Promo code may be used per transaction.